The new-gen Maruti Suzuki WagonR will come with new design and styling and might borrow some of its cues from the latest Japan-spec WagonR. We expect the car to be launched in India sometime in 2019. 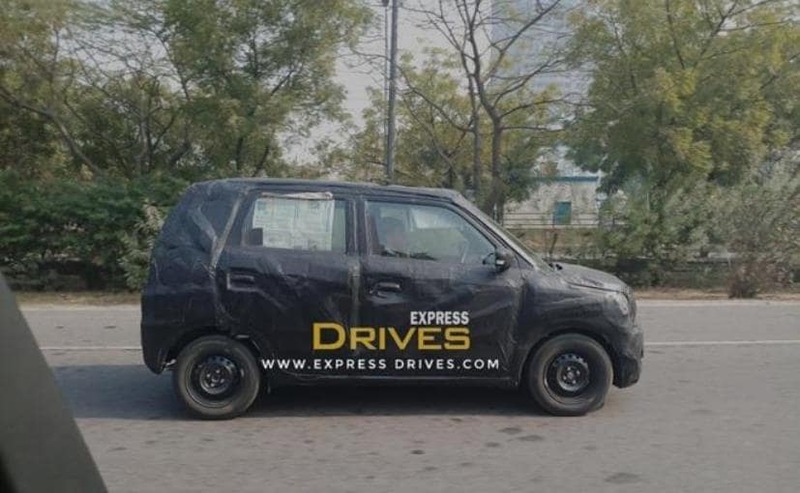 An early prototype of the next-generation Maruti Suzuki Wagon R was recently spotted testing in India. 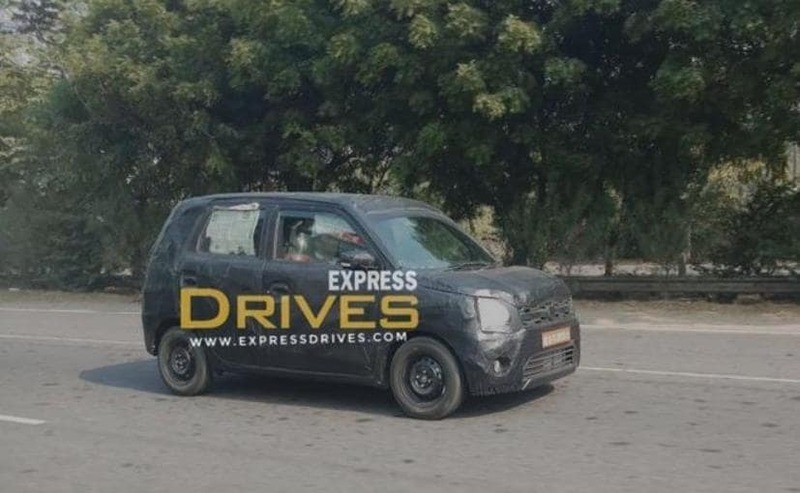 Reports suggest that the car was spotted somewhere in Gurugram, near Maruti Suzuki India's Manesar manufacturing facility, which currently manufactures the WagonR. Covered heavily in black camouflage, this particular test unit is possibly one of the early prototypes of the car and we are not likely to see the production version any time before 2019. Visually, we expect the new-gen WagonR to share its design and styling cues with the new global-spec Suzuki WagonR which was unveiled in Japan last year in February 2017. Despite the heavy camouflage, we can still tell that the car will come with some major visual updates, but will maintain its boxy proportions. The new WagonR will get an all-new face with a revised black grille, flanked by all-new square headlamps, a new muscular bumper with a wide airdam and round foglamps on either end. The new WagonR also comes with a sleeker set of ORVMs, with integrated turn signal lights and is likely to continue with steel wheel and a full wheel cover for the top-end model. We do not have a clear view of the rear of that car, but we expect the model to receive new taillamps, revised hatch and new rear bumper as well. The new images don't tell us what the cabin will look like either, but we expect to see a slightly upmarket setup, with better interior, and more features. On the engine front, we expect the powertrain options to remain unchanged and the car will continue to offer the existing 998 cc, 3-cylinder K10B petrol engine that churns out 67 bhp and develops 90 Nm of peak torque. Transmission duties will also continue to be handled by a 5-speed manual gearbox and Maruti's in-house AMT unit - the 5-speed auto gear shift (AGS) unit as an option. First launched in 1999, the current-generation Maruti Suzuki WagonR has been in the market since 2013. However, last year, Maruti added a top-end VXI+ variant to the list that essentially looked like an updated version of the Stingray, which, as a matter of fact, was a premium version of the WagonR in the first place. And now it's time for the car to receive its next generation upgrade as well.